Blind moon bear Mai was too scared to step on grass after rescue from years of bile farm abuse, but hearing her friends play gave her courage. It looks so normal. A little moon bear ambles out of her den and onto the grass of her outdoor enclosure. She heads towards a nest, seems to have second thoughts and considers a nearby paddling pool, then turns and heads back toward the den. 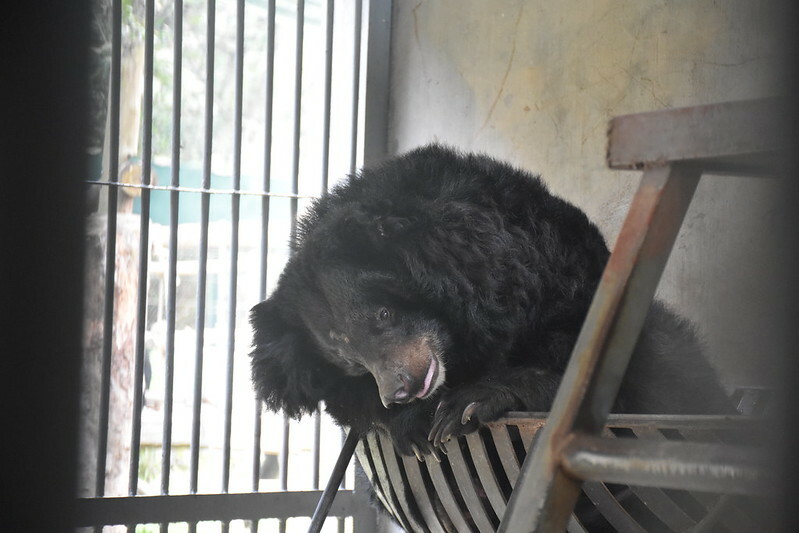 For most rescued bears this is an everyday activity, but for moon bear Mai it is a milestone. Those steps on grass were her first since being poached from the wild more than a decade ago. She spent an eternity in a tiny cage on a concrete floor. Never able to forage, to move, to play or to explore. Since being rescued by Animals Asia last year, Mai has struggled to adjust to the open space around her – instead preferring the perceived safety of her den. Her near complete blindness is no doubt making the unknown more worrying for Mai than her companions. While she sits inside, her friends Newtie and Mekong play outside. These two boisterous males have become the very best of friends since being rescued and spend long days wrestling out on the grass. When they’ve tired each other out Newtie sleeps on a hammock while Mekong rests in the shade underneath one of the enclosure climbing platforms. For weeks Mai has listened to the sound of her friends playing and now it seems these reassuring sounds have given her courage that the outside world has more to excite than to fear. Sadly, bears rescued from the bile industry often struggle to overcome the transition to a larger environment due to their extreme confinement over years and decades. 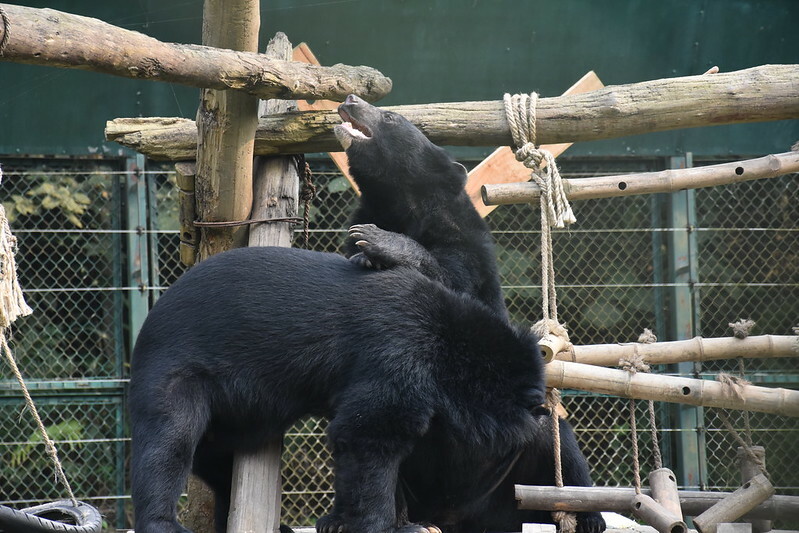 Animals Asia has rescued over 600 bears and aims to see every bear eventually able not only to adjust to a den, but to enjoy spacious, outdoor enclosure access too. Animals Asia is exploring medical options which could partially restore Mai’s sight and there are hopes a specialist veterinary eye doctor could be able to visit the sanctuary in the coming months.